Today Spatial released the twenty third version of 3D InterOp, its 3D data exchange libraries, and 3D ACIS Modeler, its 3D modeling kernel. From the release notes of this version I see that are some pretty neat enhancements. One of them made me say to myself, “At last!”. The 3D InterOp SolidWorks Reader is being replaced with a new reader based on native SolidWorks libraries. Spatial is owned by Dassault Systems and so is SolidWorks. So it has always amazed me that Spatial has to reverse engineer the SolidWorks native file format instead of having SolidWorks simply hand them their libraries. Its just didn’t make any sense to do that. But with R23 Spatial customers will now be able to read SolidWorks files using the authentic libraries from SolidWorks. New 3D InterOp translators are available for the Parasolid, SolidWorks, and Unigraphics NX file formats which do not rely on the availability of 3rd party software products. These new “Direct” translators are available in addition to the existing translators for these formats. Developers continue to have the option of leveraging native libraries if they are available. Which means if 3D InterOp is asked to read a NX file and it has not been specifically told to use the direct translator or the Parasolid based translator, it will sniff around the computer and look for pskernel.dll, the Parasolid library. If it finds one, it will use it to do a Parasolid-based translation. Otherwise it will use Spatial’s libraries to do a direct translation. Many of you who are users of CAD software and not developers may think that this implementation detail is the developer’s problem and you shouldn’t be bothered by it. True. 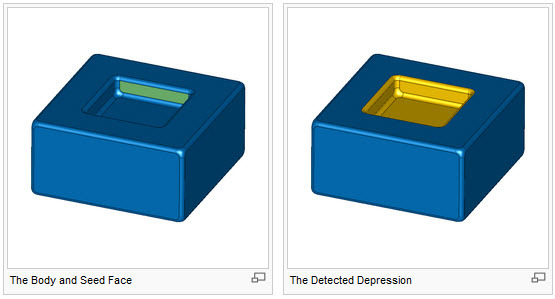 However, these options are often configured in the settings of your CAD product and it helps to know these things and how to change them. As many of your know, data translation problems can drive you crazy and ruin a perfectly nice work day. R23 of the 3D ACIS Modeler also has some nice new features and improvements. One of them what peaked my interest is seeded feature detection which involves detection of a feature based on a single face (the seed face). Here is a video showing this feature. This will be helpful to ACIS based direct modeling systems like KeyCreator, SpaceClaim, IronCAD, etc. 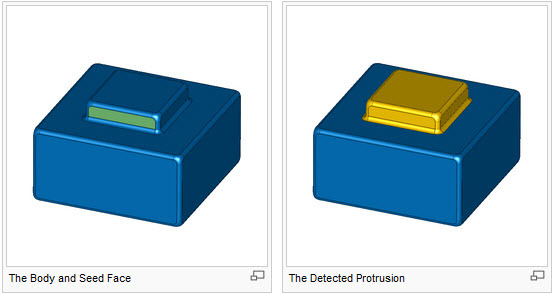 Developers of these products can now use the new API’s of 3D ACIS Modeler to quickly detect features like protrusions, depressions, blends using the API methods api_detect_protrusion, api_detect_depression and api_detect_blends respectively. If you are a developer and wish to try out these libraries products Spatial offers a 90 day evaluation. Spatial has an excellent blog called Developer 2 Developer. Spatial has a dedicated support team. But I have found many solutions to my problem on their forums called Faces & Facets.